In recognition of this occasion, the Network in Canadian History and Environment sponsored the publication of a new edited collection called A Century of Parks Canada, 1911-2011 that explores episodes of Canada’s national parks history from coast to coast to coast. This book is the first to be published in NiCHE’s Canadian History and Environment series in partnership with the University of Calgary Press as an open access publication. Listeners can download a digital copy and order a print copy today from the book’s website. This book features the work of leading environmental history researchers who met to circulate papers covering a range of topics in Canadian national parks history, including wildlife management, archaeology, Aboriginal peoples and parks policy, population displacement, auto-tourism, and hunting. On this episode of the podcast, we speak with the editor of A Century of Parks Canada, Claire Campbell, and two of the contributing authors, George Colpitts and Gwynn Langemann. Claire Elizabeth Campbell, ed. 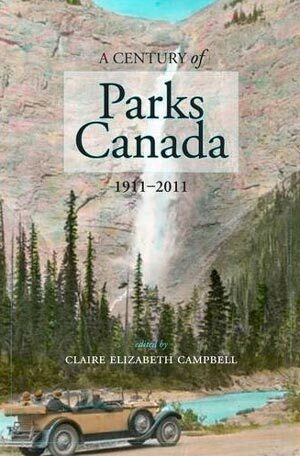 A Century of Parks Canada, 1911-2011 (Calgary: University of Calgary Press, 2011).